Who doesn’t love a little pop in their rock? Whoever does,n’t I can’t be your friend! Maybe it’s the heat and humidity, but Alex Di Leo’s “Brooklyn Bridge” is just the perfect balance of sticky sweet romantic pop, with a not unsubstantial hint of 80s Brit in there, gathered together on a solidly written alt-indie-rock base. Don’t believe us? This newcomer may not be a household name, but he’s already garnered some enviable gigs at SXSW at the MUSIC OPENING PARTY presented by Greater Fort Lauderdale’s Underground as well as he Riptide Music Festival showcase at The Main I on March 13th! Click HERE To Download / Stream “Brooklyn Bridge”! Complementing the release of “Brooklyn Bridge”, fans can also win airfare for two to New York City from Spirit Airlines on Friday, June 30 to Sunday, July 2, 2018, including hotel accommodations for two for all 3 days / 2 nights in Brooklyn, a $100 gift card, and Meet and Greet with Alex Di Leo on July 1, 2018 at the Brooklyn Bridge with an intimate acoustic performance from Alex and a special guest! Click HERE for Additional Contest Information! 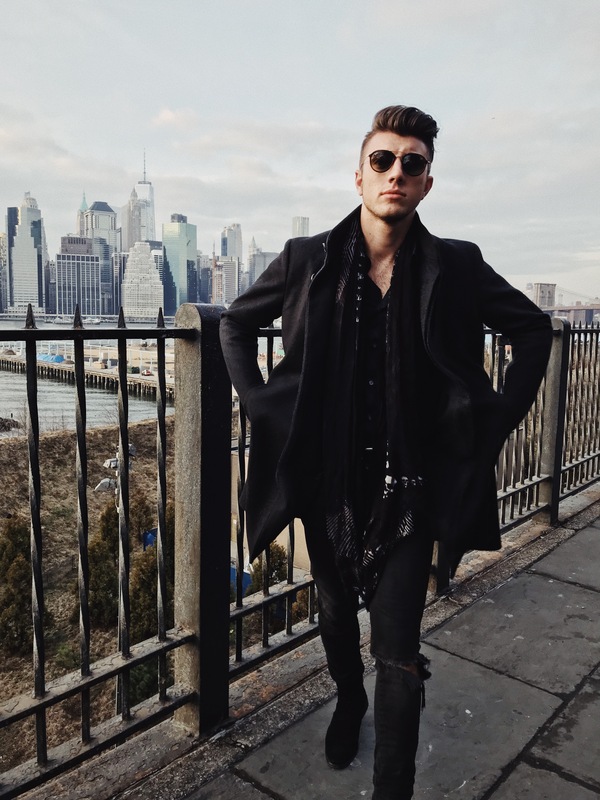 Alex Di Leo released his debut EP So We Go on November 4th, 2016 and since its release, the EP has been played in rotation on 110 college radio stations, charted on 9 radio stations’ Top 20, taking the #1 spot on Ithaca, New York’s WICO, and made the countdown for this past December. In addition to the airplay Di Leo’s music has received, he has been interviewed and featured on outlets including Highlight Magazine, Earmilk, IndiMusic TV and Chicago’s JBTV who featured the music video for Di Leo’s single, “Waking Up.” Additionally, his music has premiered exclusively with outlets such as AXS, Pancakes and Whiskey, Substream Magazine and MySpace. In 2017, Alex played the Florida Music Festival in Orlando, Sunfest in WPB (direct support for Kaleo and X Ambassadors). He completed his first west coast tour in May. He supported the Plain White T’s, on the High School Nation Spring Tour. The tour went to CA, WA and OR. He ended the tour with a showcase set at The Mint in Los Angeles. Upon returning to Florida, Alex supported Cowboy Mouth at the Culture Room in Fort Lauderdale. Alex played 104.3FM The Shark’s Riptide Festival and signed to Silent Majority Group. As we move into 2018, Alex’s has had three songs featured in tow of MTV’s Teen Mom episodes and two Go-Pro advertisements. Alex will be releasing his new singles “Brooklyn Bridge” and “Promise” in Feb. 2018 to be followed by an EP in the Spring.